These CD’s are a great representation of a technological artifact that more specifically defines myself and in some parts my generation. 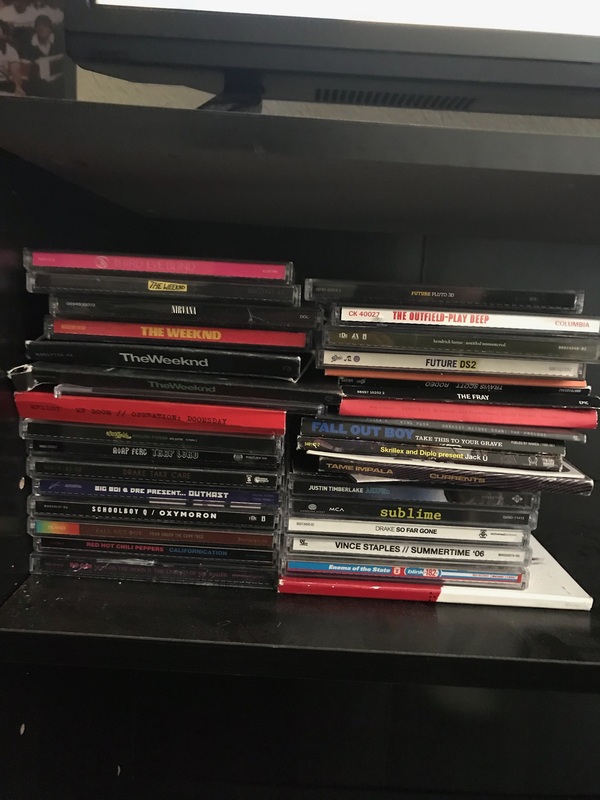 I would like to consider myself as a massive lover of music; These CD’s represent just a small portion of my collection that began when I entered 8th grade. In the stack of CD’s not only lie plastic disks, but songs that bring me back to memories of high school; driving around with friends, feeling depressed and confused like most teenagers, and simply almost all of the emotions that come with be adolescent. I still attempt to purchase CD’S because of the joy and the time and effort that you see an artist put into an actual physical copy of their album. Besides the music – and me being artistic – I have always enjoyed flipping through the booklets in incased inside the CD cases, it helps me understand the feeling of the album or at least the feeling the artist had when they were creating the album. However in more recent years, the increased access to music streaming and an aux chord in almost every car has limited buying CD’s to a rare e hobby for me now. Nowadays I believe my IPhone/IPod is what I use to hold my massive music collection. Unlike my stack of CD’s I can store my 4000+ songs all on something that fits in my pocket. 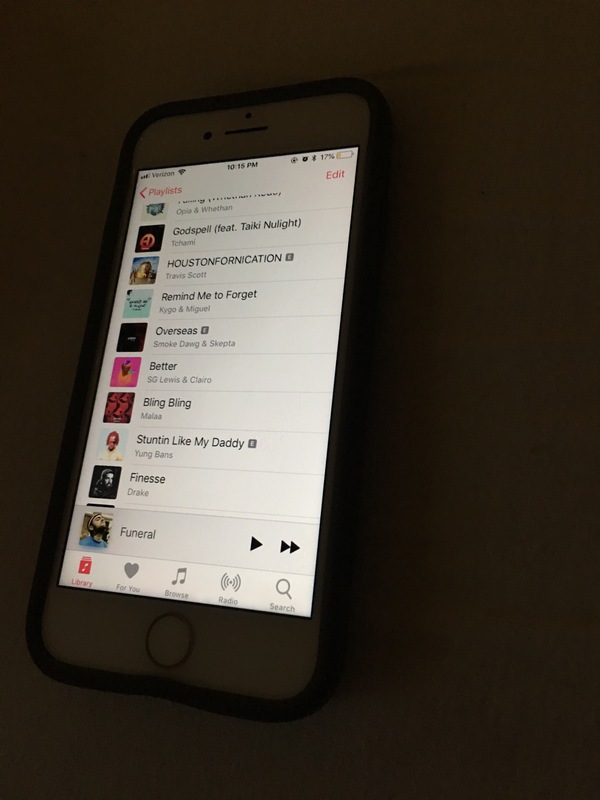 It’s easily accessible which is perfect for me, because I am constantly listening to music, searching for music, and sharing music with friends. I think the iPhone represents the goal of MAL in such that it shows what we can improve on in technology. The amount of plastic we save making less CDS and fitting them into something smaller than a CD case itself. CD’s were absolutely something that needed and continues to needed to be improved on in order to not only make technology better but also help keep our planet more sustainable. Personally, I will always wish music was only accessible with CD’S because holding something physical in your hand that has its own personality, sound, art, and something so personal to artists you look up to is just infinitely better than having the connection to an iPhone. There will always be more to music than just hearing it I believe that is what the iPhone is limited to for the most part.